Now that the wedding is quickly approaching, P and I are trying to eat super healthy so we look great in our wedding attire. 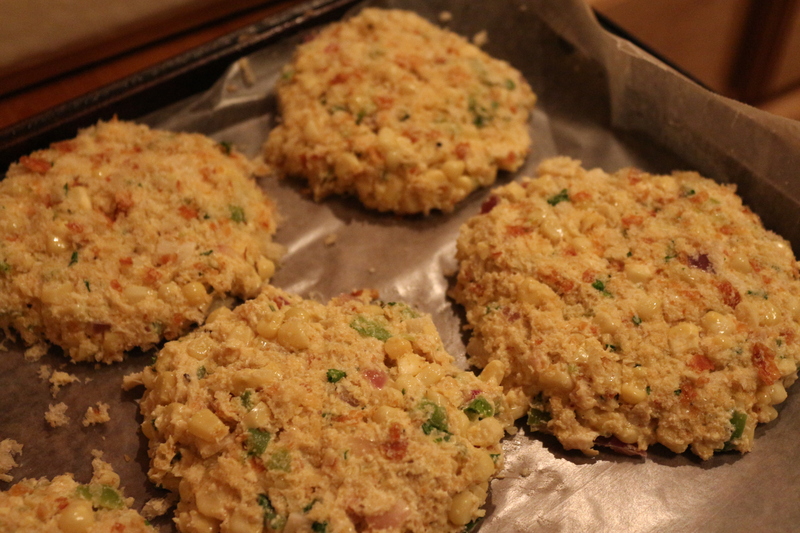 I recently found a recipe for crab cakes that replaces crab with hearts of palm (since they shred up nicely like crab). I modified it a bit to make it more of a meal – by adding some tofu – and we ended up with a really great meal. This recipe can easily be made vegan or gluten free as I describe below. 1. Saute the onion, corn and bell pepper in the olive oil over medium high heat until they become crisp and mostly cooked, around 10 minutes. 4. 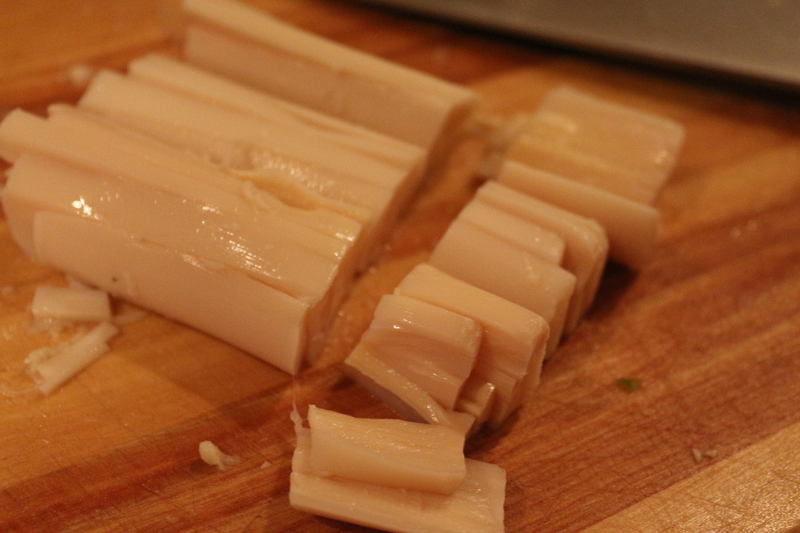 Place the tofu in a food processor and pulse until starting to break up/getting smooth. Add in 1 cup of the corn/onion/pepper mixture and blend with the tofu until somewhat smooth. 5. To the hearts of palm, add the pureed mixture, the remaining corn/onion/pepper mixture, the parsley, Old Bay, veganaise, bread crumbs, dijon mustard, and salt and pepper to taste. Stir until combined. 6. Line a large baking sheet (or two) with parchment paper (or just spray it well with cooking spray). Fill a shallow bowl with the remaining bread crumbs. 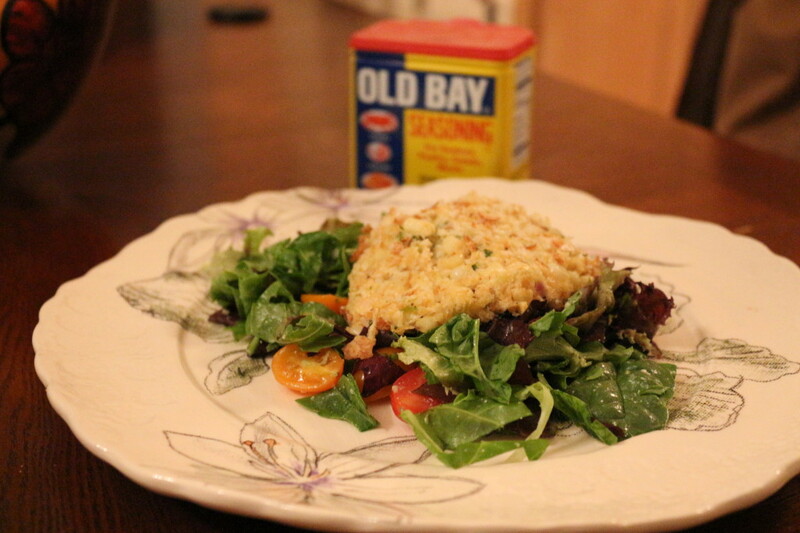 Take a large scoop of the crab cake mixture, roll it in bread crumbs, flatten it out and lay it on the parchment paper. Continue until you use all the mixture. (I made 8 large cakes and 4 small ones). Note, if you don’t want to coat in bread crumbs (or you run out), these are delicious without the bread crumbs. 7. Place the cakes in the oven for about 12 minutes. 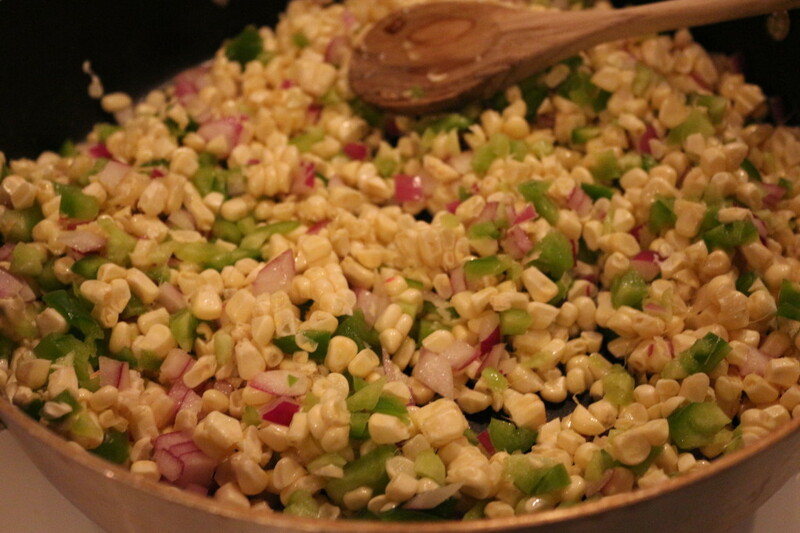 Serve over salad (if you make the salad in the bowl where you had the cake mixture, it acts as a yummy flavoring). This entry was posted in Mains, Sides and tagged corn, Gluten Free, Seafood, Vegan, Vegetarian. Bookmark the permalink.